An Illinois Wesleyan basketball player who went on to become a seven-time National Basketball Association All-Star has been selected for induction into the Naismith Memorial Basketball Hall of Fame. 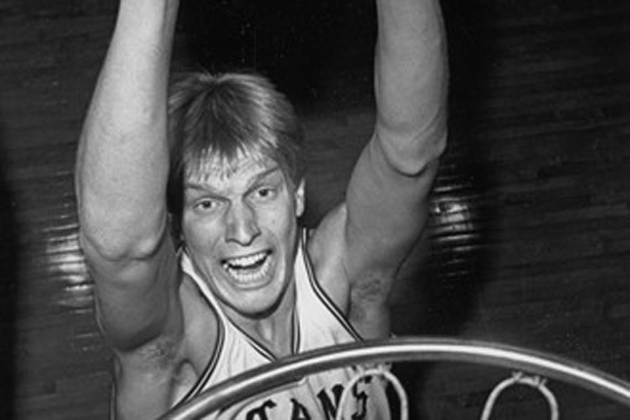 Jack Sikma graduated from IWU in 1977 after leading the Titans to three straight College Conference of Illinois and Wisconsin championships and berths in the National Association of Intercollegiate Athletics national tournament. He was named the CCIW’s Most Outstanding Player for three straight seasons. Sikma is IWU’s all-time leading scorer with 2,272 points and all-time leading rebounder with 1,405 boards. After graduating, Sikma was the eight pick in the NBA Draft in 1977 and scored 17,287 points and 10,816 rebounds with the Seattle SuperSonics and was a key member of the Sonics’ 1979 championship team. His jersey has been retired by both Seattle and Illinois Wesleyan. He was inducted into the Small College Basketball Hall of Fame in 2017, the NAIA Hall of Fame and was a member of the NAIA 50th & 75th All-Anniversary Teams. He was also a two-time Academic All-American and was selected in 1999 to the CoSIDA Academic All-American Hall of Fame. He has worked as an assistant coach for Seattle, Houston and Minnesota and currently serves as a coaching consultant for the Toronto Raptors. The remainder of the 2019 Hall of Fame class includes Paul Westphal (player), Bobby Jones (player), Sidney Moncreif (player), Vlade Divac (player), Teresa Weatherspoon (five-time WNBA all-star), Linda Price (Wayland Baptist women’s college team), Al Attles (contriibutor), Carl Braun (player), Chuck Cooper (player), Bill Fitch (coach), 1957-59 Tennessee A&I (team). The induction ceremonies will be Sept. 5-7 in Springfield, Mass. Sikma will be a guest on Scott Laughlin’s morning show on AM 1230 WJBC at 9:10 a.m. Monday.